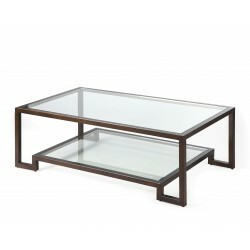 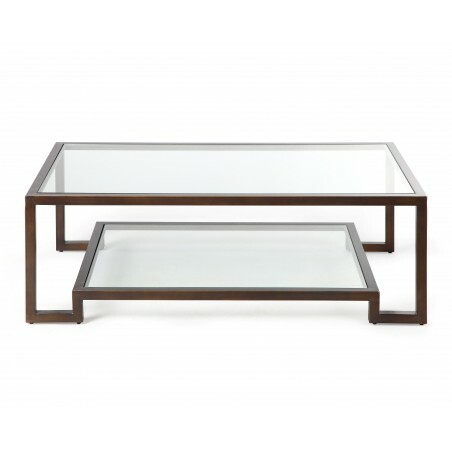 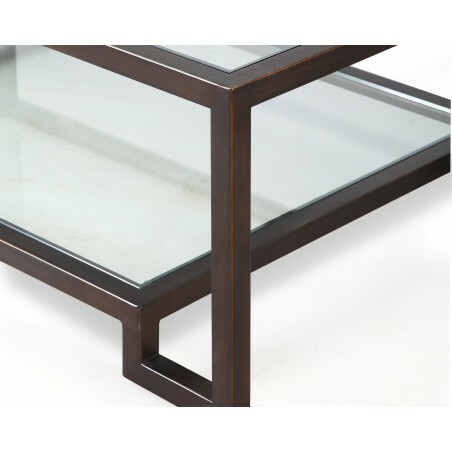 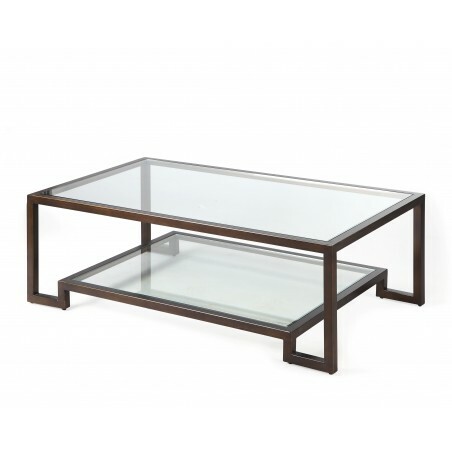 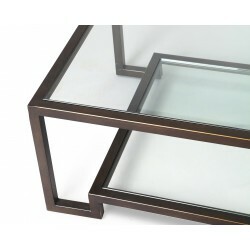 Coffee table with metal frame and glass top and shelf. 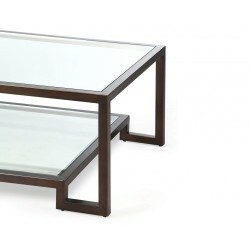 The Ming Coffee Table from Liang & Eimil combines elegance and functionality. The handy shelf will be useful not only for storing your favourite magazines and books but for displaying pretty objects that bowls as a part of the decor. 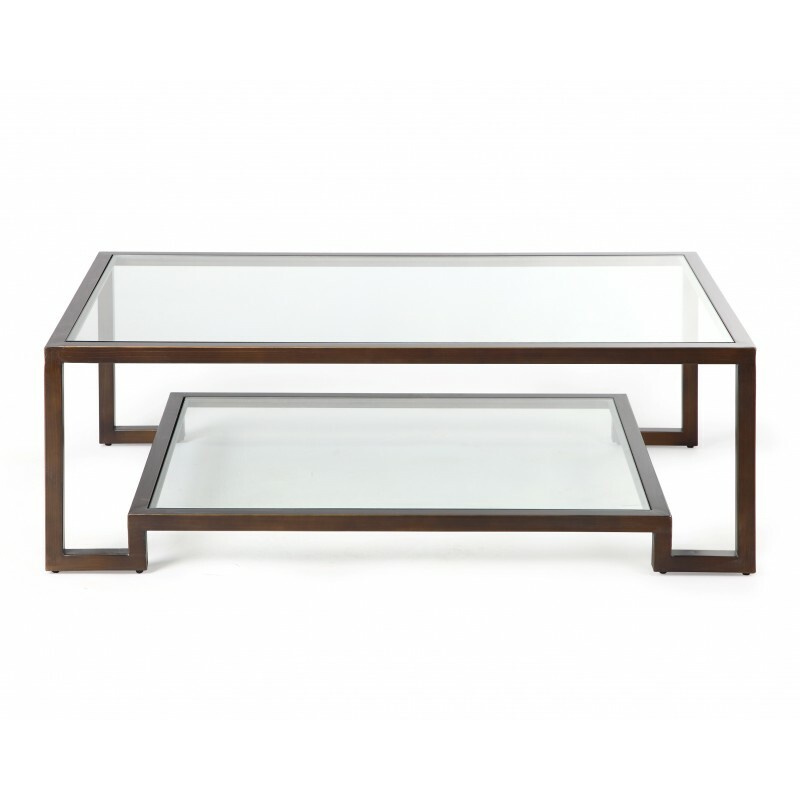 Combine this stunning coffee table with the Liang & Eimil comfy sofas to create a chic luxurious look. Metal items are intended to have a rustic appearance that may include spotting and variances in tone and lustre.